The Local Government Act defines an official community plan (OCP) as a general statement of the broad objectives and policies of the local government respecting the form and character of existing and proposed land use and servicing requirements in the area covered by the plan. It must consider anticipated housing needs, schools, service requirements, public facilities, location and requirements for commercial, industrial, agricultural and other land uses, and restrictions on lands that are environmentally sensitive or hazardous. An official community plan or OCP is a long-term strategy for land use, development and servicing. The goals of an OCP are implemented primarily through a zoning bylaw. OCP's are updated when there is a need to reconsider policies related to development or changes in provincial legislation. In January 1997, the RDN Board adopted a Regional Growth Management Plan, which was subsequently updated in 2003 and 2011 as the Regional Growth Strategy. The Regional Growth Strategy provides a regional framework to guide land use planning and servicing and protect quality of life in the region. OCPs in the RDN's Electoral Areas must be consistent with the RGS. Municipalities must include "regional context statements" in their OCPs to show how they are consistent with the goals of the Regional Growth Strategy. What is a Village or Neighbourhood Plan? A Village or Neighbourhood Plan is a guiding planning policy document that focuses on a particular area or neighbourhood covered by an OCP. Similar to an OCP, these Plans address issues like future land use, density, desirable community improvements and projects, servicing, and the provision of parks and recreational services typically in more detail than an OCP. 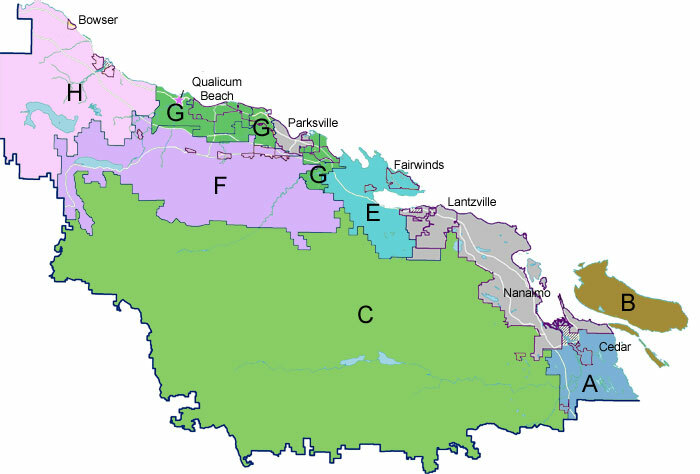 Where can I find the OCP's, Village Plans, and Neighbourhoods Plans that the RDN has adopted? The development and review of official community plans (OCPs) is a major responsibility of the RDN's Long Range Planning function. Links to Electoral Area OCP's, Village Plans, and Neighbourhood Plans are provided below. Contact the RDN's Planning Department for a copy of an OCP, Village Plan, Neighbourhood Plan or for more information.